Jason Kelly | Don't Boycott the Frog! 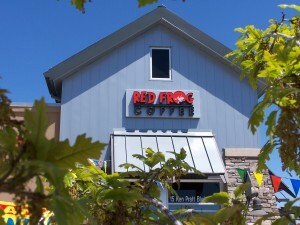 Jason Kelly a well known stock scam promoter is involved with the Red Frog Coffee shop. He mislead thousands of investors for his own benefit. PLEASE BOYCOT red frog. Spread the news. Read about him online for specifics of his scam. This is patently false. My stock scams are hardly well known. Most of them I run in private, and I almost never use my real name. I used none of my ill-gotten gains to start the shop, and tapped none of my Mafia connections, either. People should at least get their facts right before boycotting a business (and consult a dictionary for proper spelling of “boycott” before going public). The Jason Kelly this Craigslist boycotter is thinking of isn’t me at all but, rather, a shady outfit that found a guy with my name to legally piggyback on the success of my stock book to promote scam software called Day Trading Robot. Don’t fall for it. All such software is bogus, of course. If it worked, all the big banks would use it which would then cause it to stop working. Besides, if you had a trick to constantly make money from the stock market, why would you show it to others? That Jason Kelly and the outfit around him really are scam artists, and should be boycotted. They’re another glaring example of what’s wrong with America. I, however, am not. So, enjoy a coffee at Red Frog. This entry was posted in Society, Uncategorized and tagged Red Frog Coffee. Bookmark the permalink. Both comments and trackbacks are currently closed.